Palms are among the best known and extensively cultivated plant families. There are approximately 2600 known species. Palms are also widely used in landscaping for their exotic appearance, making them one of the most economically important plants. In many historical cultures, they were symbols for such ideas as victory, peace, and fertility. Today, palms remain a popular symbol for the tropics and vacations. During the next days we will embellish the gardens of The Fives with 35 of these exotic species. They will be strategicly planted to improve the vegetation and enjoy their shade. It has been 21 days since the Sea Olive opening. 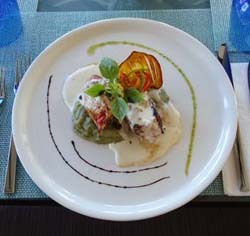 For us and to delight ofyour palates, our chef has expanded the variety of dishes in the menu. You can enjoy this delicious Primavera Chicken Breast, accompanied by Chaya (tree spinach), hoja santa (pepper leaf) and parmesan. 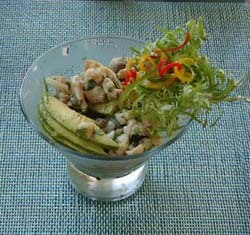 Or a fresh Shrimp & Fish Ceviche, marinated in Lime juice, chilly pepper and coriander. 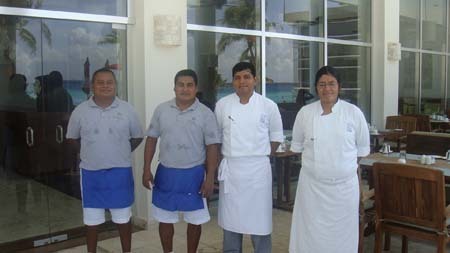 Also for your convenience the Breeze Pool Bar is open where you can refresh yourself with great variety of drinks and cocktails while relaxing at the edge of the infinity pool or enjoying the sun, sand and beach with amazing views to the Mexican Caribbean. We signed the first Title Deed at The Fives!!! 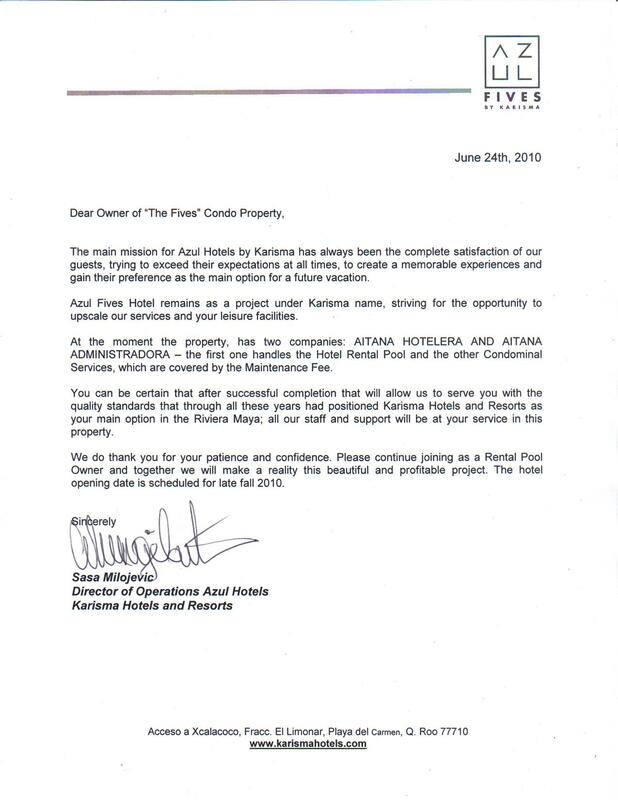 It is very pleasant for us to inform you about this marvelous news: The Naranjo family had the honor to sign the first Title Deed for their condo at The Fives. 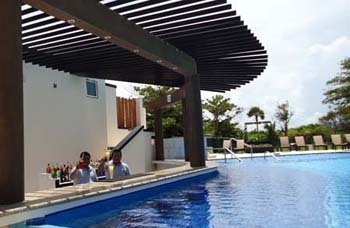 The Naranjo family are foreigner owners (acquiring the condo within the 50 km of Mexican coast), it has been compulsory to sign by means of a Trust, in this case, has been BBVA Bancomer the financial entity in charge of granting it. This bank analyzed in advance all the legal aspects and as everything was in order, proceeded to confirm the operation. This is another example which shows that we are working to fulfill all the commitments that we have with all our customers. With this act, it is confirmed that the signature of the Deeds it is a fact and we start a new stage to formalize your contract and to give you the legal security that you need. Therefore, we inform that any owner can proceed to concrete the date to sign the Deeds, Mexican citizens or foreigners. Our Team will be I touch with you to give you more details about the closing. We very much appreciate your confidence in our work and in the project, where you are a big part of it. With great success, last Thursday night we had the celebration of THE FIVES RELAUNCH. More than 100 people between brokers, collaborators, authorities and media gathered to witness the event, which started with some words from Joaquin Serna,TM Real Estate Group Mexico Projects Director, who spoke about the company history of more than 41 years of experience in the construction and commercialization of properties in Spain, making special mention of the recent acquisition of the 100 % of the shares of The Fives Project. 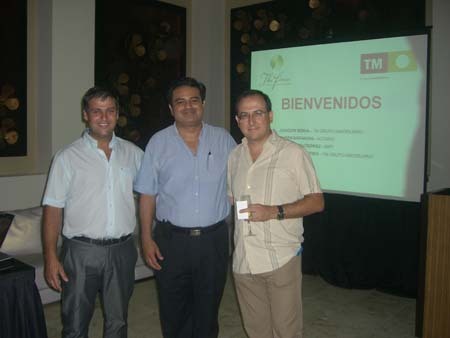 Among other assistants was Wilberth Gutierrez, president of AMPI Riviera Maya(Mexican Asociation of Real Estate Professionals), and Ruben Barahona, well known Public Notary. Both of them shared some words to the attendees. 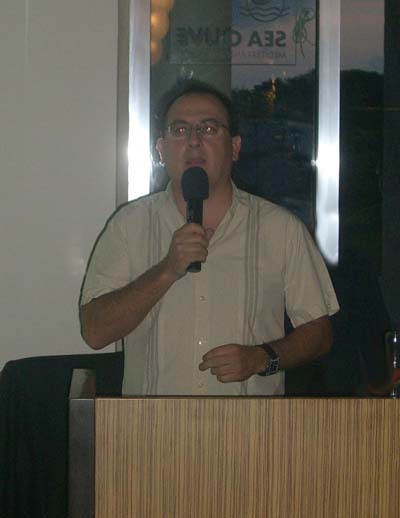 Alejandro Zarfino, The Fives Sales Director spoked about the actual situation and future plans of the project. 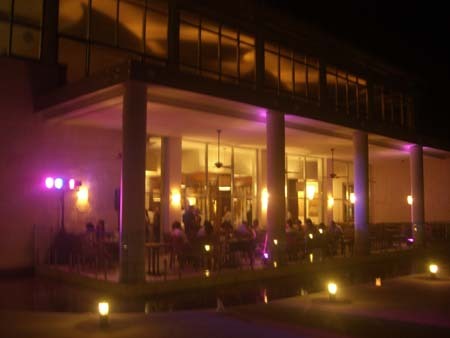 After the presentation, everyone invited enjoyed of the cocktail served by Karisma in the Sea Olive restaurant at The Fives Beach club.